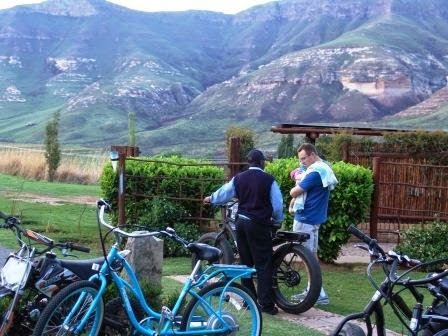 One of the fun things that we did this past weekend in Clarens in the Eastern Free Sate, was ride electric bicycles. 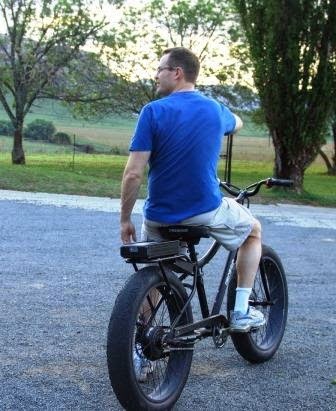 They're basically normal pedal bikes (with super fat wheels) that give you the option of switching to electric power - complements of a rechargeable battery - whenever the urge strikes. 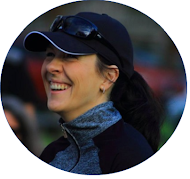 It's a bit like switching on turbo boost on the uphills - fun, right?! The bikes can reach speeds of up to 40 km/h, and switch between pedal mode and electric mode with the simple turn of a throttle. Quick briefing session. That backdrop...! Will, of course, took to riding the electric bike like a fish to water. It took him five seconds flat to figure out the bike and look like a complete pro. Show-off. I, on the other hand, was a big old baby on the darn thing: I pooped around the resort at a snail's pace like a 100-year-old grandma, much preferring the pedalling option over hitting the gas. Those chubby wheels were so hard to navigate - I kept fearing that I'd do a spectacular face plant in front of all the other resort guests, ha! 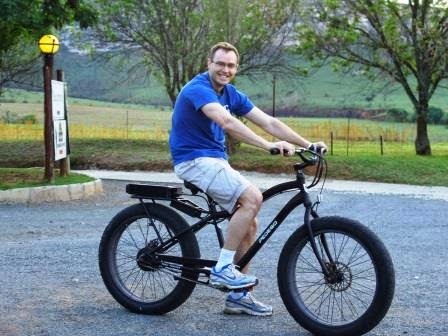 Mind you, I'm a big baby on a regular racing bike too (Will says that I'm the only person on the planet who goes faster uphill than downhill) - what on earth was I thinking? It was a lot of fun, though - my old-lady trepidations notwithstanding. But Rider of the Day goes directly to Will: The man was born to ride!